Welcome again!!! Today we will discuss about the main part of the whole Quadcopter/Multirotors system. Here we will learn about How to do Parallel battery charging? Charging Batteries in Parallel. Before knowing about the How to do Parallel battery charging / Charging Batteries in Parallel you must know the basics of Quadcopters or UAV or Multirotors. As we are discussing about Parallel battery charging so we must know the about the system on which we want to implement it. As name suggests parallel battery charging mean two or more than two battery charges simultaneously by using a single charger. That means you need such as more efficient and powerful charger who supports that kind of job to know more about charger. The main advantage of charging batteries in Parallel is to charge multiple batteries in less time. That charging time is equal to charging time of a single battery. Why we need to do parallel battery charging? Parallel charging rapidly charges all of your battery simultaneously that saves your time as compare to charge battery one by one. Parallel charging is supports if you want to charge more cells at a time and your charger not have that no of balance ports. So by using parallel charging you can charge your battery. It is also helpful for battery life of LIPO because we know that every battery have some internal resistance because of that the battery not give their 100% performance as well as at the time of charging it takes some voltage drop because of that is not take power from charger as much it required so it’ll damaged internally but in parallel charging when we charge more batteries at a time its internal resistance will reduced so it charges safely. 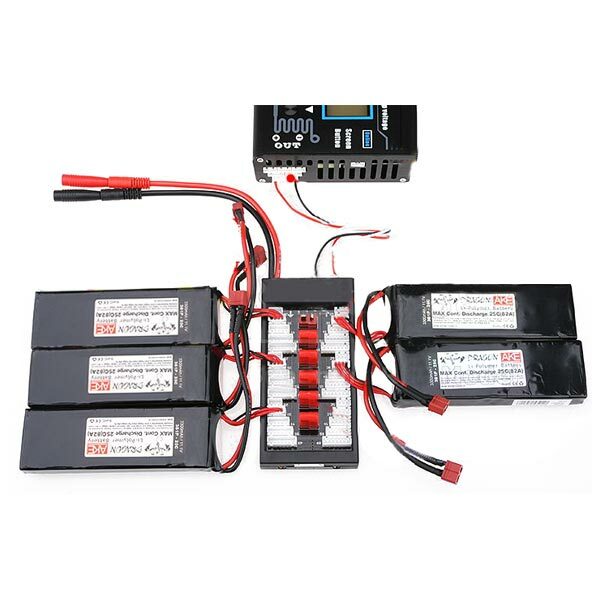 Before moving furthers for parallel charging you have to know about the various parameter of parallel charging like energy density, longevity, load characteristics, charge and discharge rate from How to choose battery for Quadcopter/Multirotors UAVs. Charging Current Rate of Battery is in the form 1C, 2C, 5C etc. Similarly discharging rate is also in the form of 25C, 50C, 75C etc. 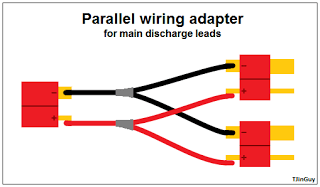 Now in this section I’ll introduce you how o do parallel charging and what extra components use to perform that particular tasks. 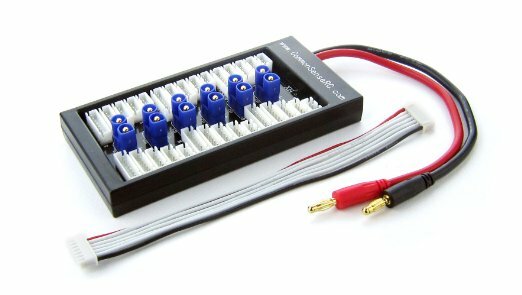 For parallel charging you need a Para board connector which have multiple balance connectors and power supply connectors for charging multiple batteries as same time. Now we are going to connect multiple batteries balance connecters and power supply connecter to Para-board. And para-board connected to our Turnigy charger which is capable for parallel charging and connect it to main power supply. And make sure charging start or not on charger’s screen. Firstly Please make sure your charger is capable of doing parallel charging or not, and secondly if your charger is not having alarm or beep system to make sure your stage of battery charging level or indicate on full charging then, keep surveillance your batteries time to time because in case of over-charging there may be occurs some internal damage that’ll destroys your batteries. Please take same precaution and safety. 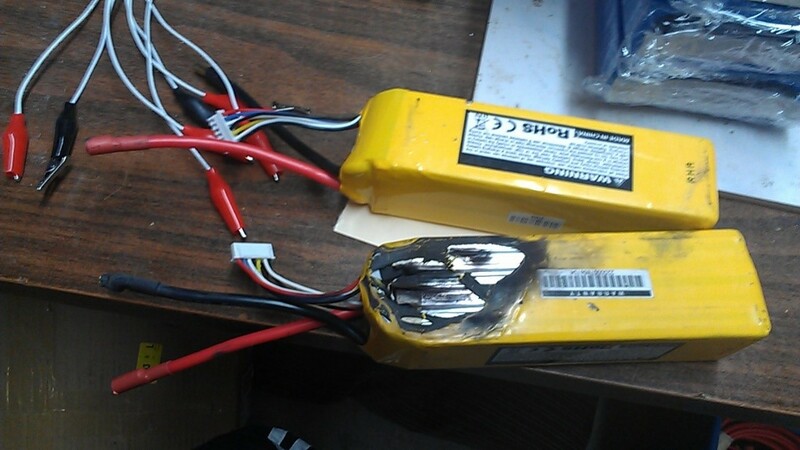 Hope you liked the above article about How to do Parallel battery charging? Charging Batteries in Parallel. How can we use it in various systems? If you liked the above given article do share us on social networking like Facebook, Google, Twitter and others. You can also take the reference from our website www.dronepic.co.in.